This wasn’t proof though. It was initially just conjecture. In the meantime (30-10-2018) received some more information. The birds that fell massively dead would be the victims of an experiment, performed on those days in The Hague, where RF radiation was tested with a peak frequency of 7.40 GHz. This information comes from one source and should still be confirmed, if possible. 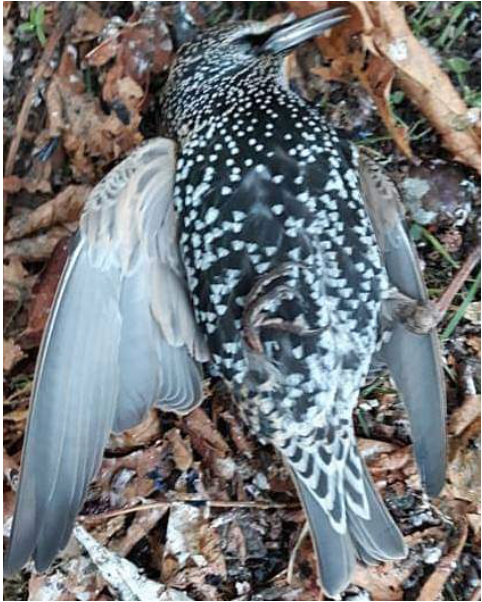 In the Huijgenspark in The Hague, more than a hundred starlings have fallen dead from the trees in recent days. It is a mystery what happened to the animals. It is also possible that the birds have a disease. “In any case, it’s going fast. The animals are not emaciated, do not seem ill. They just fall dead from the tree, “says employee Sharon Lexmond of bird shelter De Wulp. Trondheim (3rd city of Norway) also attacked the birds. After 6 months there was no toxicological report yet. It has also happened in Sweden, Australia, United States. In the meantime (30-10-2018) received some more information. The birds that fell massively dead would be the victims of an experiment, performed on those days in The Hague, where RF radiation was tested with a peak frequency of 7.40 GHz, which corresponds to a wavelength of 4.05 cm. This wavelength is of the same order of magnitude as the size of the starlings. This may be important because of possible resonance effects. The mast in question is about 400 meters from where the starlings have fallen dead. This information comes from one source and should still be confirmed, if possible. For several days in a row, dead starlings fall from the sky in the Huijgenspark in The Hague. It is estimated that around 150 birds have already lost their lives. What is the cause of this is being investigated? 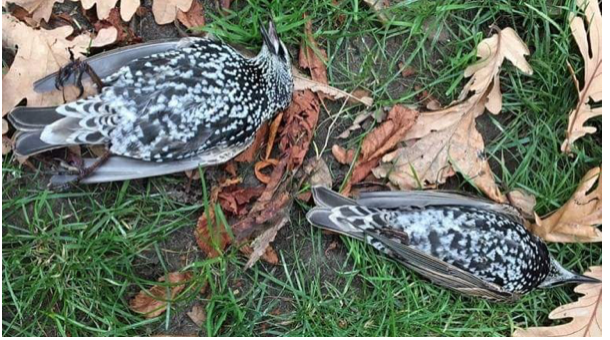 Again, dead starlings have been found in the Huijgenspark in The Hague. More than ninety dead birds were spread across the park in the Stationsbuurt. We took the birds. Last time, five of the deceased starlings were examined by a local specialist. It did not show signs of poison, but only internal bleeding in two copies. 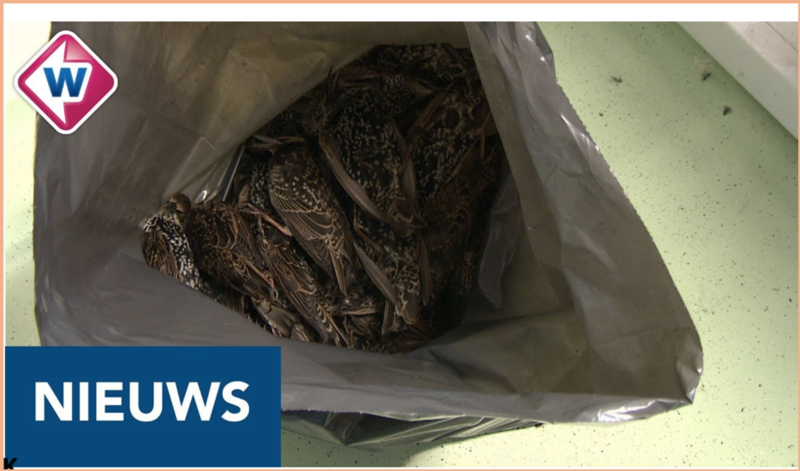 The newly found starlings are examined by the specialized Wageningen Bioveterinary Research laboratory in Lelystad and the Dutch Wildlife Health Center in Utrecht. The municipality has promulgated a ban on dogs in the area because the cause of the mortality is unclear. Poisoning is taken into account. The area has been blocked by the police. How is the current state of affairs with regard to the dead starlings? 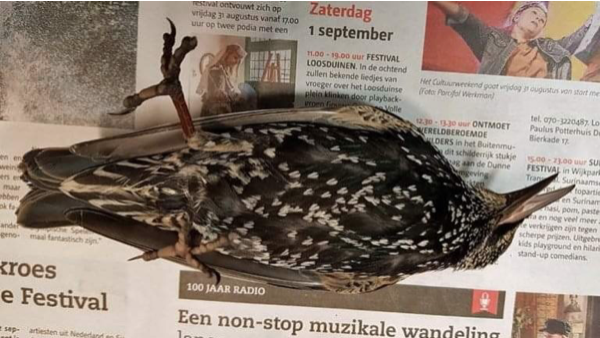 Last Friday, Wednesday and Thursday, a total of +/- 150 deceased starlings were found in the Huijgenspark in The Hague. OnSundayy, Thursday and Friday our veterinarian visited and carried out a total of 15 animals and collected material for further research. On Wednesday, the NVWA collected a cargo of birds that were examined in Lelystad on West Nile Virus. The negative result has now arrived. On Thursday, the Dutch Wildlife Health Center also picked up a load of birds and we got a result today. Both veterinarians (ours and those from the DWHC) discussed their findings with each other. (Birds in good condition, some small bleeding in some animals, good for the upcoming winter, empty stomachs.) It is a very strange story! Components of the deceased birds now go to various institutes for further research into rat poison and various viruses. On Monday the preparations are ready and the microscopic examination is started. In the meantime, the municipality has instituted an outlet ban in the park until further notice. We will keep you informed and hope that we will get a quick answer regarding the bizarre deaths. There is, of course, no certainty about the cause. There are stronger 4G and IoT channels in the vicinity near the park. In July there was also 5G tested, but then the birds did not swarm and they did not arrive in the park. IoT has also been active since 30 October 2017, so it is only briefly active with a safe distance (for humans) of 7.4 meters and with a 2000 Watt transmitter at less than 200 meters from the park main beam direction exactly across the park. Also at the same distance LTE channels and at another location also LTE stations etc. Here again exactly about the park. 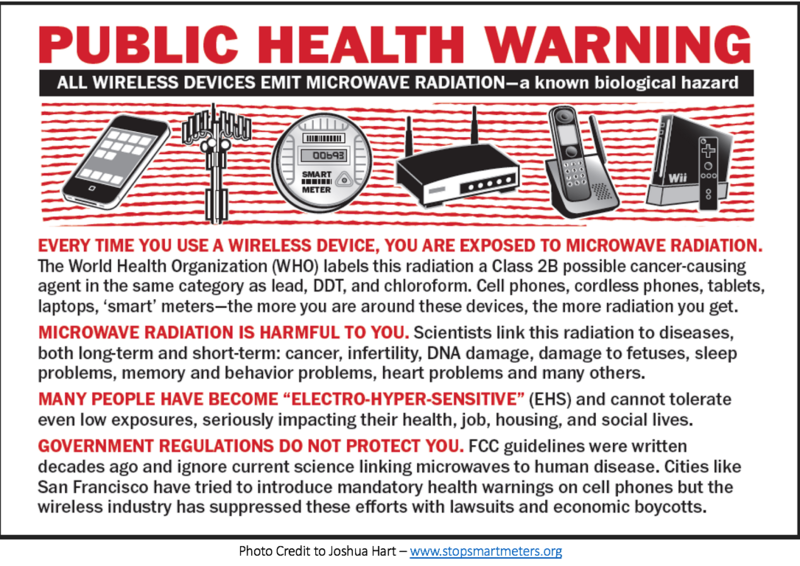 The truth about the safety of 5G is that it’s not safe. And while letters have been sent and people have raised the alarm, the “powers that be” don’t seem to care. All in the name of money and industry.